Vibrant and fresh, this coconut is all of the wow with almost none of the calories. 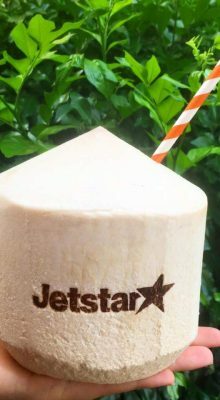 The Miranda Kerr of coconuts, Fruit Sensation is one of our most popular breakfast and lunchtime options. 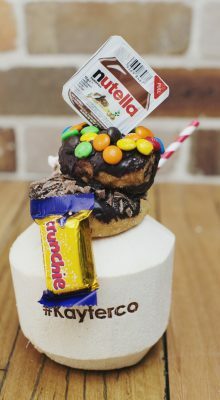 Our best selling coconut, Chocolate Mayhem is an OTT triple choc delight which oozes Nutella over fresh cinnamon donuts and topped off with Cadbury chocolate flakes. 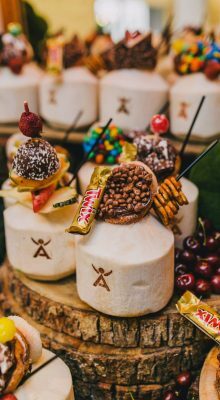 The Double Decker coconut will take your next function to a whole new level. With two glorious donuts and a burst of Nutella, The DD is a sure fire way to impress your team and clients. The Floral Fabulousness coconut is always dressed to impress. 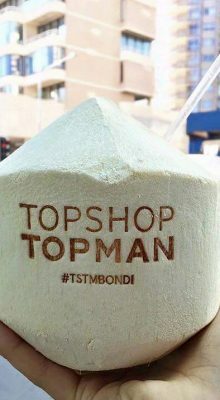 With an impressive wardrobe, this coconut can be customized with flowers and colours to suit any theme. What is better than one Oreo? A stick full of Oreo’s! 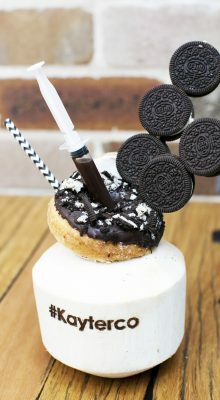 The Twist, Lick & Dunk coconut adds an element of surprise to your event and is a crowd favorite. The Pretty in Pink lady turns heads whenever she walks into a room and comes in a range of flavours and styles, each guaranteed to make your event special and unique. 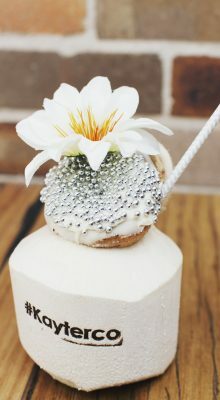 Let your creative and scrumptious juices flow as we create a coconut perfect for your occasion and theme. 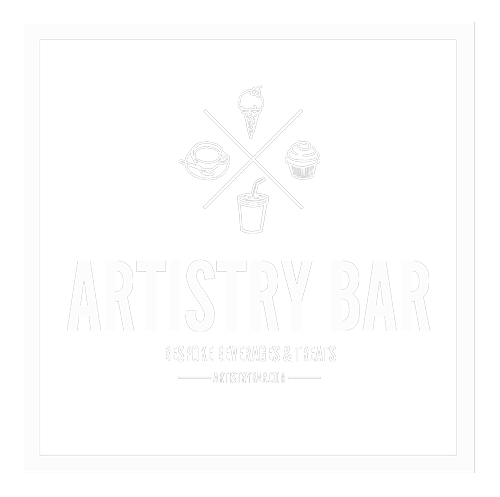 Provide us with a few of your favorite things and we will bring it to life and ensure its picture perfect. when branded with your logo. Used for activations, media drops and corporate quench days, this is an amazing addition to your event.